It's where they've filmed Deadliest Catch: Dungeon Cove, where crabbing is easy to do and fun, and where the barking of big sea lions echoes throughout. 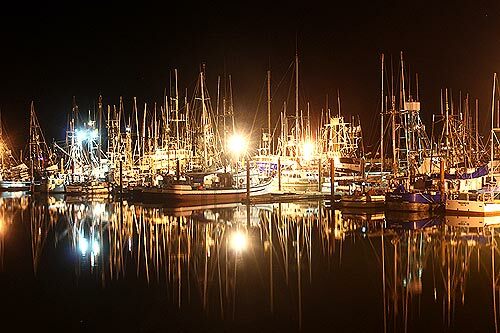 Newport's Yaquina Bay is a many-sided area of recreation and repose, offering the high energy of tour boats, fishing boats and crabbing cruises down to the mellow sights of a sunset over the waters. At night, it's a different and ethereal place. The waters cause the myriad of lights from the fishing boats to dance, and if you've got a professional camera on a tripod you'll see the air lights up with a multitude of colors from gasses in the air the human eye can't see. It's wondrous. Hang out in the right place â€“ such as the fishing pier on the South Beach side â€“ and you'll see the boats drifting into and out of the bay, sometimes cast wild shadows into the foggy air and structures surrounding the waterway. 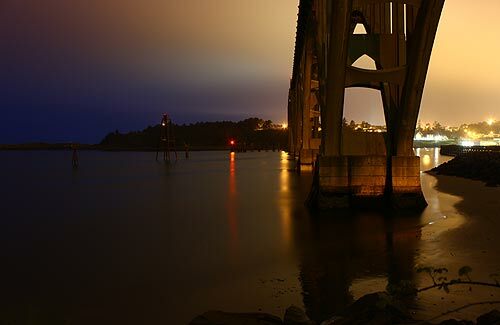 Today's #OregonCoast: Video of post-dusk moments at Newport's Yaquina Bay - the famed Bayfront area. Where the latest Deadliest Catch spinoff is filmed. 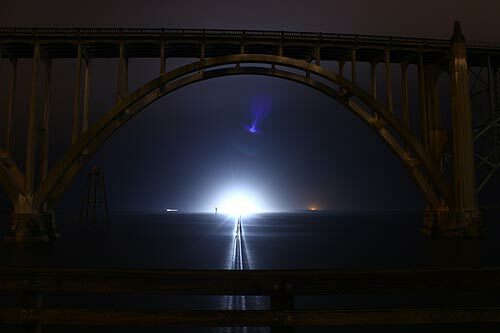 More at https://www.beachconnection.net/vtour_newport.htm ...... #Oregon #northwest #travel #beaches #portland #eugene. Make sure to hit the HD button for better viewing.